It is my pleasure that you logged in my web site. I am Santosh Pyakurel, a research students and an educational entrepreneur. I am a part time university lecturer and I teach the students of BBA and MBA at different universities here in Nepal. I have completed Masters' of Business Studies(M.B.S.) specializing in Financial Management And Marketing. Besides that I have completed M.Phil. ( Master of Philosophy) in education majoring Educational Leadership from Kathmandu University. 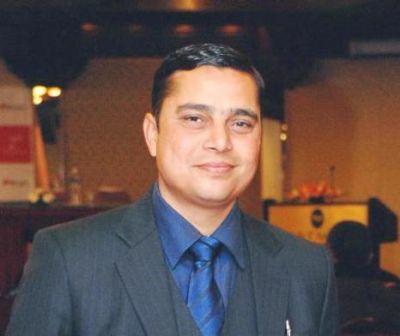 I am a trainer of Commodities and Derivatives market here in Nepal.I am Global certified Commodity Derivatives Specialist awarded by FTKMC-Mumbai, a sister concern of MCX.I am also an educational consultant for abroad study. I have my own company named COMMON FOUNDATION PVT.LTD. for abroad education advisory services. You can log on to www.commonedu.com.np to know about the services we render to the students.I am ICEF Trained Educational counselor(IATC- 0341), Qualified Education Agent Counselor (QEAC- M764) and Education New Zealand trained agent(ENZTA). I have written four books (Fundaments of Financial Management for BBS 2 nd Year-TU, Corporate Finanace for BBS 3rd Year TU, Business Finance for BBA 3rd semester TU and Financial management for BBA 5th Semester- PU) as a co- author ( along with Kiran Thapa et all) for the additional suppliment of requirement of Bachelor level for Tribhuvan University and Pokhara University. In addition to that, I have written articles in National News papers, online medias. I have worked as an research guide for the Thesis for Master's Level TU. In this site I have tried to incoporate all the research material, teaching material,useful links and inspirational thoughts that i have developed as well as the derived material from various sources and will try to update and upgrade as per your suggestions. I hope this site will provide you useful information that may help in future endevor. Any suggestion for the upgradation will be highly appreciated. Till today, there have been 14891 visitors (25022 hits) on this page!